Written By: Rick Jaffa and Amanda Silver, as suggested by the novel “Planet of the Apes” by Pierre Boulle. Starring: James Franco, Frieda Pinto, Andy Serkis, John Ligthow, Brian Cox, and Tom Felton. Rated: PG-13 for some violent monkey business. Frank Schaffer’s 1968 Planet of the Apes is at its core, a pretty silly movie. The Charlton Heston sci-fi adventure pulled together the right wing concerns of the civil rights movement into an obvious allegory, creating a campy classic, but not certainly memorable save for a few select scenes. How else would you explain that the film’s most iconic sequence—a twist ending so well known that it appears on the DVD box—is the only part basically unrelated to the rest of the story? But it spawned numerous sequels, which vastly vary in quality, as well as a hokey Tim Burton remake only a decade ago. So why return to this planet? Well for starters, we no longer have to stare at those amusingly awful make-up designs, which are replaced here by the CGI work of WETA Digital, famed for both The Lord of the Rings and Avatar. And secondly, director Rupert Wyatt, a newcomer off everyone’s radar, knows that this prequel story is inherently campy, but requires a touch of serious depth to be enjoyable. 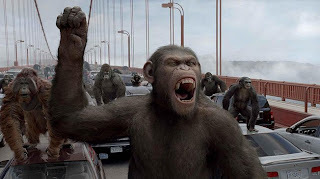 And Mr. Wyatt, as well as the work of WETA, is the reason that Rise of the Planet of the Apes is easily the best blockbuster of the summer. This certainly isn’t a classic for the ages—the holes of the narrative are laughably bad when picked apart—but Mr. Wyatt knows the tone to bring together illogical plot designs with genuine ape-pathos. 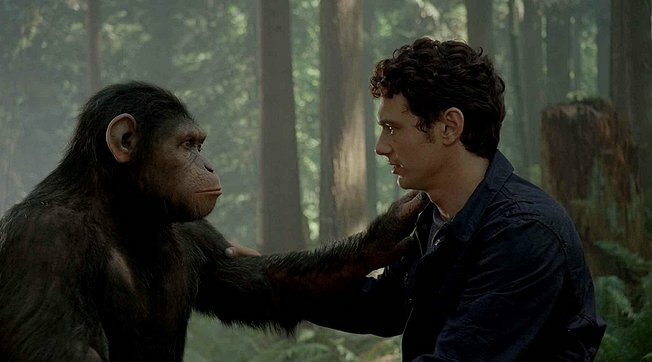 The story though starts with the humans, particularly a strangely fitting James Franco as a scientist named Will working on a cure for Alzheimer’s, racing for a cure before his father, played by John Ligthow, succumbs to it. Will may have the cure after testing on a particular chimp (callback reference: she’s named Bright Eyes), but she goes mad with rage, crashing right into the meeting with the board of directors. But wait!, the plot demands. Bright Eyes was only protecting her newborn, whom Will easily sneaks by security, along with samples of his cure, to not only raise the new chimp Caesar, but also magically cure his dad in the span of hours We then see the rise of Caesar, a CGI emotive chimp, thanks to the work of motion capture specialist Andy Serkis. Mr. Serkis, has become iconic for his work as Gollumn in Lord of the Rings and is an actor of Chaplinesque proportions. We don’t know how much of this magic is Mr. Serkis’s expressive abilities, or WETA’s beautiful work, but Caesar is the most human character is this film, and the humans—Mr. 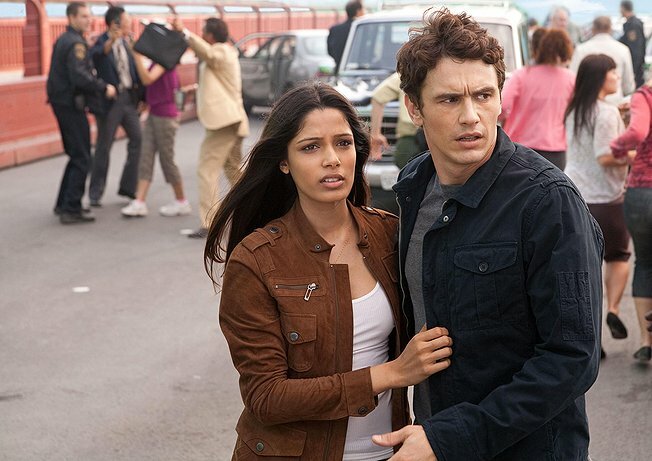 Franco, Mr. Logthow, and Frieda Pinto in a completely thankless eye candy role—are less fun to watch. After a section focusing on Caesar’s development, which has more than a few similarities to the documentary Project Nim, Caesar escapes his home and bites off the finger of an angry neighbor, sending him to ape prison. This section, where Caesar slowly gains allies with his fellow apes, and teaches them to rise up against their jailers (particularly a hilarious miscast Tom Felton), is the most fun, as the effects are naturalistic, and the film takes itself seriously while slyly acknowledging this camp. I felts Mr. Wyatt channeling the work of James Cameron throughout these sections, balancing B-movie premises with cinematic expertise. Mr. Wyatt will stroll his camera right behind the apes often during some of the action sequences, keeping us with characters instead of losing us in a smash of discontinuous editing. Eventually, we get to the big set pieces; hoards of apes, led by Caesar, tearing through San Francisco. Mr. Wyatt and WETA clearly have fun with the urban landscape, perhaps best illustrated in a shot where the apes commandeer a trolley and ride proudly toward their targets like a menacing army. And when has a sequence like the finale on the Golden Gate Bridge ever felt more satisfying in terms of action. Rise of the Planet of the Apes can be quite silly at time, especially whenever it turns the spotlight toward its human characters. 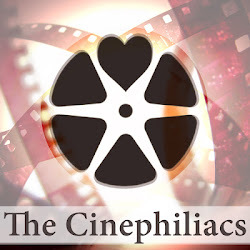 But in a prequel that largely ignores the continuity of the franchise (the film’s script was tailored into it after its original drafting; a number of references awkwardly inserted), 20th Century Fox has a hit that understands what summer movies used to be. Jaws is a largely ridiculous film about a shark, but Steven Spielberg knew how to play with our emotions and paranoia. 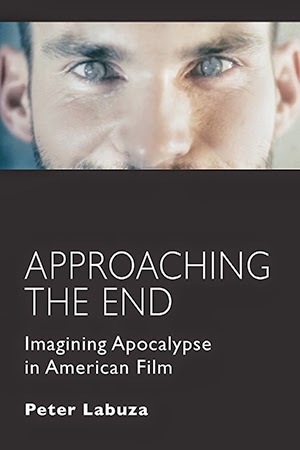 Mr. Wyatt is not Spielberg, and Rise may be more of a sign of how devolving blockbuster entertainment has become, but in a franchise that has never been taken seriously, this is one giant leap for ape-kind.